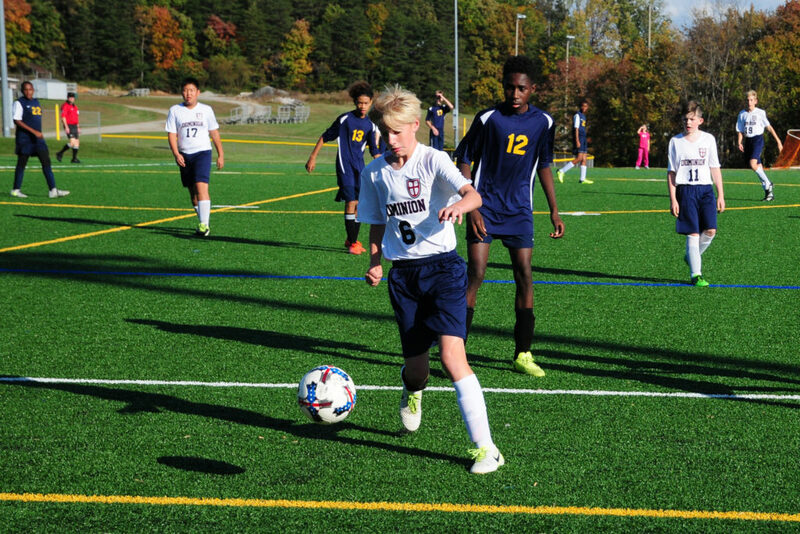 Dominion offers a variety of interscholastic athletic teams. 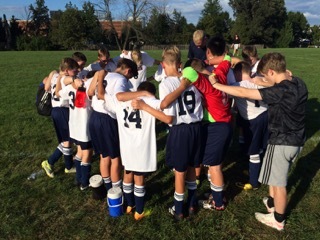 Consistent with our school-wide mission, the athletic program aims to instill character and integrity in our students. Competitive athletic programs also impart discipline, character, and integrity in a way that we cannot teach in the classroom setting. 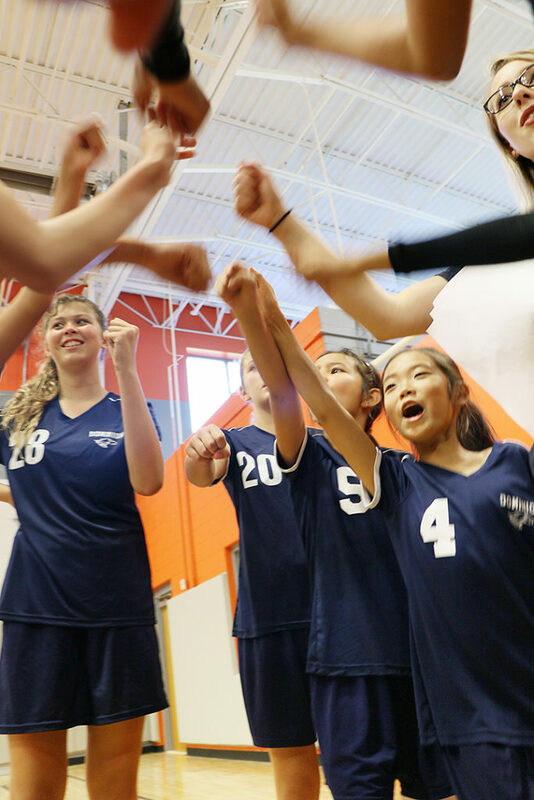 In addition to promoting a holistic educational program (mind, body and spirit), Dominion provides an athletic program to help foster these characteristics. Likewise, our desire and expectation is for our students, parents, and coaches to exemplify positive character and integrity in all of their interactions with others. Do everything as if you were doing it for the Lord (Colossians 3:23). Do not tear people down with your words; build them up (Ephesians 4:29). Use the talents God has given you (Matthew 25:14-30). We were made to exist in community, and we each play a valuable role (1 Corinthians 12:12-26). The Northern Virginia Independent Athletic Conference was established in 1997, with teams across the northern Virginia area. The NVIAC dedicated to the purpose of bringing glory to God. Member schools realize the benefits that occur for our students from uniting in our athletic goals and strive to promote and administer athletic competition which will enhance the development of our students and the relationships of the member schools. 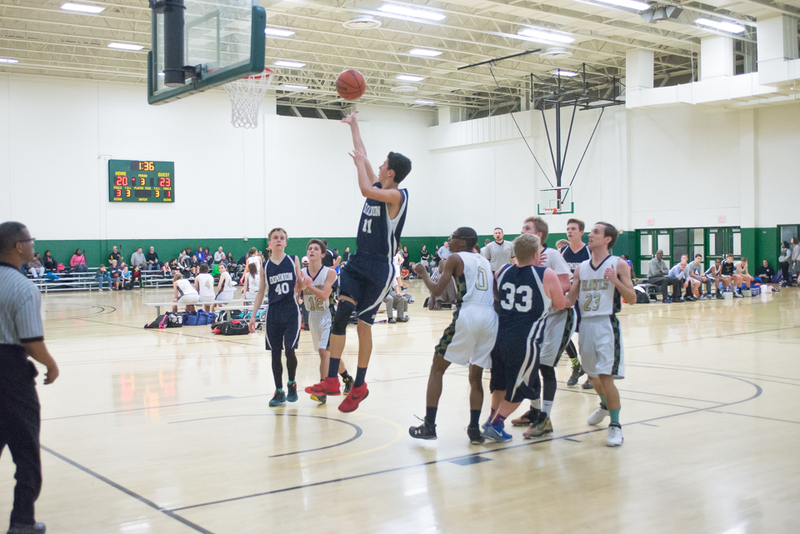 Today, the NVIAC holds eleven members within the conference and hosts Varsity, Junior Varsity, and Middle school leagues and tournaments for basketball, soccer, volleyball, cross country, and flag football. Dominion has been a member of the conference since 2013. For more information about the NVIAC, click here. Coach Mun, or “Coach Pete” as he is known to his players, grew up mostly in Northern Virginia. He began playing basketball when he was eight years old and fell in love with the game instantly. He initially played for his local county team and was later recruited to play for an AAU team. During his second year in college, he became a committed Christian and quickly sensed a call to ministry. As he began to pursue the pastorate, doors concurrently opened for him in the game of basketball. In 2007, he was asked to help direct and coach a statewide church league focused on reaching out to youth. His love and passion for basketball grew as he realized that it could be used as a tool to share the love of Christ with young people. In 2008, Coach Mun was asked to co-direct and coach a new after school basketball program at Christian Center School in Franconia, Springfield. In 2011, Coach Pete and his wife moved to South Korea to help plant an International Church in the International City of Songdo-Incheon. It was there that Coach Pete became Director and Commissioner for an all-city tournament league made up of schools, corporate companies, and churches. In the fall of 2015, Coach Pete and his family moved back to Northern Virginia to plant a new church. Coach Pete has a Bachelor of Arts in Social Religion from Liberty University and his Masters of Divinity in Professional Ministries from Liberty Theological Seminary. He and his wife, Jennifer, have three children, Timothy (Timmy), Elizabeth (Bethy) and Titus. 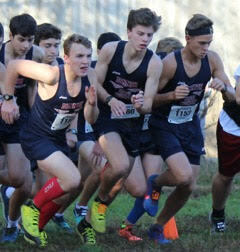 Coach Cichowitz started the cross country program at Dominion, and he has served as the head coach for the middle and upper school programs since the fall of 2012. Prior to coaching, he ran cross-country and track for Grove City College at the NCAA Division III level. Coach Cichowitz enjoyed a successful career at the collegiate level as a three-time conference champion, four-time Academic All-American, and three-time national qualifier. Grove City College honored him as senior athlete of the year for his successful running career and record-breaking performances in the 8k and 10k races. If you were to ask Coach Cichowitz what he loves most about coaching, he would tell you that coaching is a platform to create and share with others a passionate community of athletes seeking to grow and to spur one another on towards excellence athletically, spiritually, and in relationship. He attends the Falls Church Anglican. Coach Hagen grew up playing volleyball and has since had the opportunity to work with and assist her former coaches Her love for volleyball began in elementary school when her mother would share stories of playing for her high school team. Benefiting from her proximity to the Freedom Center in Prince William County, she had the opportunity to join summer volleyball camps after third grade. Her first team experience came in sixth grade when she was one of two sixth graders to make the Marstellar Middle School JV team. It was such an enjoyable experience that she continued skill building in the SYA travel volleyball teams and later went back to the MMS JV as captain in seventh grade. In eighth grade she served as Varsity Captain and brought MMS their first first place trophy in over fifteen years. Coach Hagen continued to play volleyball through high school, finding many successes along the way. In college she played intramural and recreational volleyball while prioritizing her studies. Coach Hagen graduated from George Mason University, earning a Bachelor’s of Science in Computer Science with Honors. She now leads a team of software engineers at Lockheed Martin. She and her husband live in the Chantilly and attend Centreville Baptist Church where she has been very involved for fifteen years. Coach Hagen is passionate about volleyball and hopes to inspire her teams to love the game as much as she does. She also aims to make her faith and passion for Christ contagious to her players by serving as a mentor to them. Coach Flenniken started playing soccer when she was 13. She played for her high school, Cuyahoga Valley Christian Academy, for three years and then she continued her soccer career at Grove City College, where she played on the Varsity team for four years. Coach Flenniken has played a wide variety of positions and loves the thrill of defending and the excitement of scoring; but most of all, she loves the friendships and community that she has found playing soccer. Currently, she teaches fourth grade at Dominion Christian School and coaches the middle school girls soccer team. Coach Zellner has been in the Northern Virginia area since 2011. She grew up in St. Louis County, where she played competitive soccer for 12 years. After high school, she moved out to Fairfax to attend George Mason University. As she pursued a double major in psychology and conflict analysis and resolution, she also played on the GMU Women’s Club Soccer team. She graduated after three years, but stayed at Mason to work with Campus Crusade for Christ, and continued her involvement with GMU Club Soccer as a coach. That same year, she met her husband, Nathan. Currently, Coach Zellner works at George Mason with CRU, with a focus on reaching international students, and pursuing her Masters in Education, School Counseling from Liberty University. This is her second season as the Head Coach of the Varsity Girl’s Soccer Team. Coach Moyer has loved football since he was a boy and for almost 30 years has been involved in some type of organized football. He played running back in high school and defensive back in college, and has played on or coached flag football teams ever since. With mild, conditional support from his wife, he currently plays on a weekly mens football league. Coach Moyer works for an impact protection startup company on a mission to improve the safety of helmets and protective equipment. His joy in coaching comes from teaching game fundamentals, the true meaning of teamwork and the satisfaction of accomplishment through hard work. He is the father of four, including 7th grader Ella, 5th grade Dominion football devotee Finn, rising Dominion kindergartner Harper, and two-year-old Millie. Coach Carmichael was born and raised in West Milford, New Jersey. He is a 2015 graduate of Grove City College, where he played 4 years on the Men's Soccer team. During his senior year he captained the team and helped lead them to the conference final. He was also an accomplished runner in high school, focusing on the sprints, but his strength in both sports was more about culture building and hard work than actual talent. Upon graduating, Coach Carmichael participated in the Falls Church Fellows program where he began to grow deep roots in Northern Virginia. He currently spends most of his time at the church, working there during the week and leading a small group of 10th grade boys in the youth group. He is passionate about making disciples out of teenagers, using the power of sports to train hearts, and doing what little he can to redeem the discourse of our current age. To kill time he plays a little bit of guitar and writes sub-par short stories.